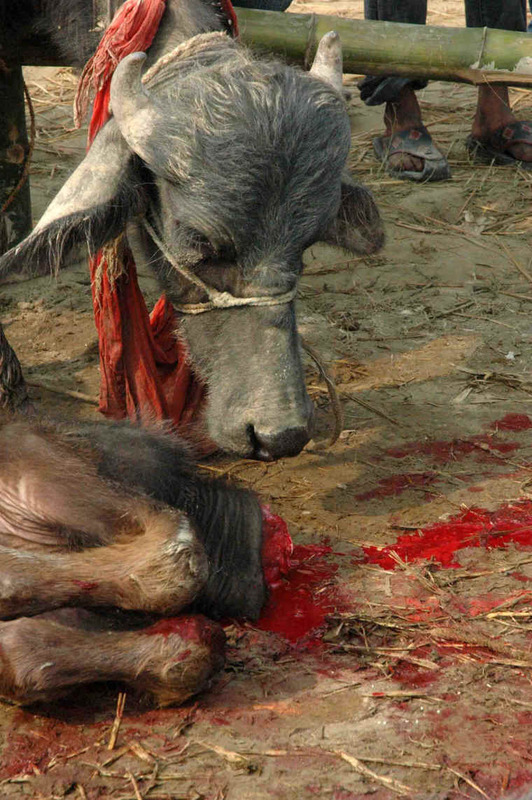 (Cattle Exploitation - Festival and Sacrificial Slaughter - 15) We can only imagine what is going through the mind of this still living baby as he or she looks intently upon bloodied neck and headless body of once living and breathing fellow baby. Stop the killing and bloodshed of billions of animals every year. 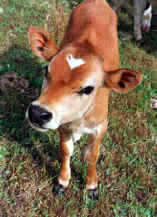 Go vegan!